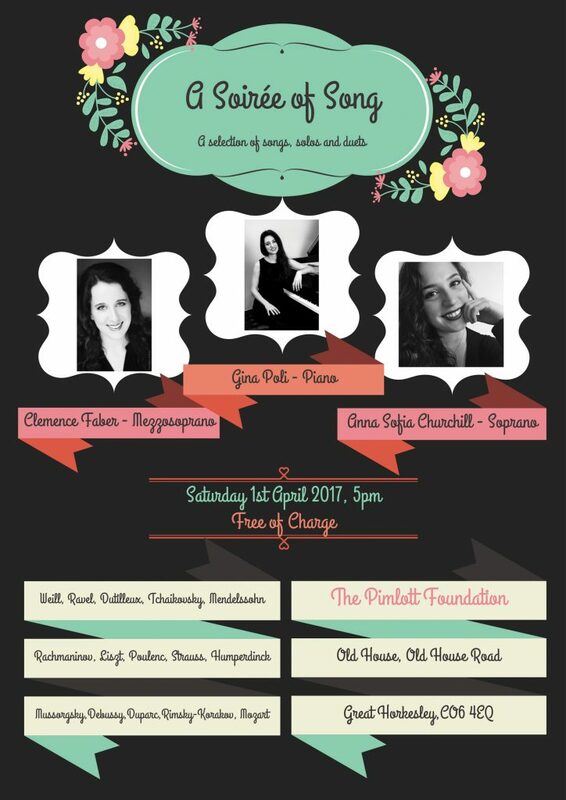 A free concert at Old House on Saturday 1 April 2017 from 5pm. Songs, solos and duets from Clemence Faber – Mezzosoprano, Gina Poli – Piano and Anna Sofia Churchill – Soprano. Featuring the music of Weill, Ravel, Dutilleux, Tchaikovsky, Mendelssohn and many more.